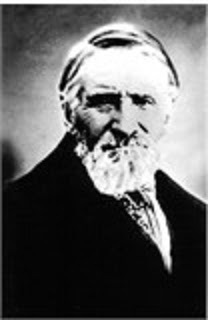 In 1854 Brigham Young sent out an expedition party of six men, one of those men was Daniel Buckly Funk, one of the pioneers of Millard county Utah. 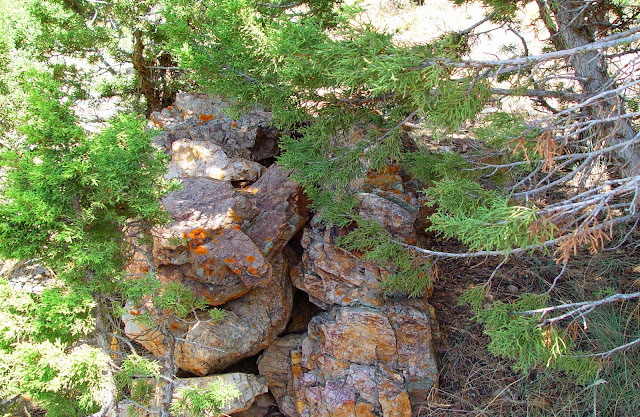 The party of scouts made a careful examination of Millard County, and in the mountain about 20 miles South of where present day Scipio now stands they found a fresh and well used trail leading from the canyon up the mountain. The discovery of the trail was not surprising to these hardy men, but excitement ran high when it was found that the trail had been made by horses that had been shod, and the scouts had good reason to wonder at this discovery, as the Indians, then numerous in that portion of the country, never shod their horses or ponies. Who then could have made the trail? Not white men certainly, for there were none in the country excepting themselves, and the Indians they knew could not have made it. With curiosity arouse a to the highest pitch they followed the well-worn path for several miles until at last they came to the bottom of a steep hill, and at this point they rested, being fearful of ascending, not knowing but that further on they might meet with a force that was larger than their own; and whether it would be friend or foe, they did not know. Considering that “discretion was the better part of valor,” they began to retrace their steps, and on the way down the canyon they met an Indian, and as one of the party could converse in the Indian language, inquiries were made as to who had made the trail, and for what purpose. The Indian who was well acquainted with that locality, informed the scouting party that the trail had been made by Spaniards, who were working a very rich gold mine just over the hill from where they were, and the red skin volunteered the further information that a few miles down the trail there could be found the spring where the Spanish miners crushed and washed the ore.
Acting on this knowledge the party followed the trail down the canyon and found the spring in the locality as described by the Indian, and also some pieces of quartz ore that was fairly lousy with the yellow metal. The scouting party, upon their return home, described what they had found in their report to Brigham Young, who forbade them or anyone going their again, as trouble would surely ensue if they did, and so the discovery rested until it began to take the form of legend in the minds of the people of Utah. In 1888 however Daniel Funk took his son young Dan, into the mountains told him the story of the Spanish mine and pointed out the mountain in which this long-lost bonanza was located. The elder Funk has since passed into the great beyond, but his son, imbued with the idea of finding immense treasure in the deserted mine, has devoted nearly eight years in the endeavor to find it. He has prospected these mountains thoroughly but found nothing of value. This spring however he is determined to go over nearly every foot of the ground, and began to prospect the hill as closely as a field could be plowed. Just days ago I discovered in the previous story I have walked the same trail many times that my G G Grandfather walked, Daniel Buckley Funk. The trail mentioned in the following story is the same trail mentioned in the previous. Could the cave mentioned within be the same site the Spaniards were working that Daniel Funk almost came upon? The year was 1927 in central Utah when two cattle ranchers were making their last trip for the season to gather in their cattle which had been grazing in the mountains through the summer. The two men had rode their horses from their camp located lower in the mountains to the base of a well-known peak in the area where their cattle were last known to have grazed. They had gathered in all they could find and were making their last trip down the mountain to their base camp. The weather was looking like a storm was coming and sure enough, when the cattle men were just a couple miles from base camp and turning into the main canyon from the north and heading west, the storm hit them with full force. The storm was quite heavy and the snow was hitting them in the face with a strong force which made it difficult to see. Even the horses were having troubles staying on the trail. The ranchers decided to let go of the reigns and let the horses instinctively seek cover. Immediately the horses turned around and proceeded back up the trail and turned north, where they had just came from. Not far past the turn northward the horses took off the main trail and began to climb an old steep trail heading towards a what appeared to be a thicket of trees. The trail began to level out as they entered the stand of trees. They rode further into the grove and supposedly rode into a place where there was an overhanging ledge in a conglomerate rock formation. The cave like overhang was said to be large enough the horse walk in with the riders still mounted. Once inside the cattlemen dismounted and began to gather whatever they could to start a fire. One of the cattlemen noticed in the back of this cave like overhang was a small hole large enough for a man to enter. Upon closer examination it was found to be a cave and large enough to further get away from the storm. The two men entered and began to build a fire. As the fire blazed they noticed a tunnel and making a make shift torch they decided to explore a little. One of the men making his way through the tunnel stumbled over something in the center of the tunnel, holding his torch closer it revealed a pyramid stack of what turned out to be ten pound gold bars. Further exploring, two more stacks were found. In every case it seems when a story comes about such as this, it always seems that some one finds something and for whatever reasons they do not take anything and then cannot find it again. Well this story is a little different. The two men hardly believing their luck and what they had found, gathered up as much as they could carry out. One man shoved a bar down his pants of which it slid down pant leg and broke his foot. Still the men managed to get out of there with enough to take care of their families for some years. When the storm lifted the men took careful notes of observations so they could return. It wasn't a few years later and the great depression hit and anti-gold hoarding laws came into play. During these years of the depression it is recalled by some of the locals I have spoken to, that there was certain families in the area where the men lived, and being cattlemen none the less, it seemed they got through these depression years without want or need. 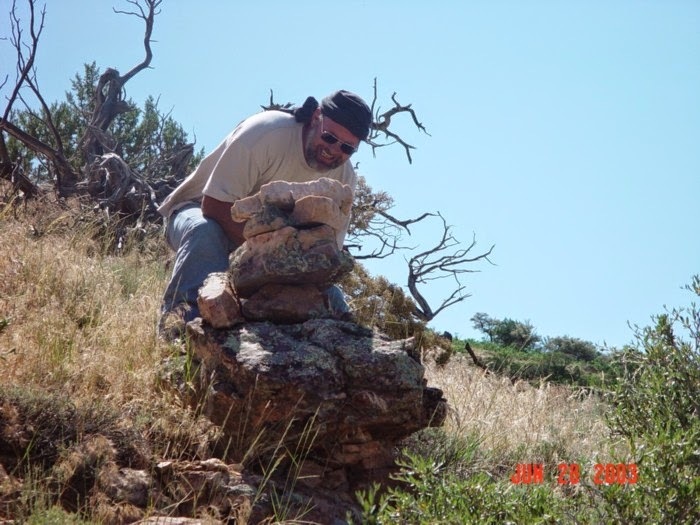 It was 15 years later before the men attempted to return to their found cache site. It would seem even though they felt they had good reference points and the map, all they could do was argue about which hill they were on. The two men as far as the story goes, never found the right place again. We had chosen what is supposed as being a forest service trail to make our way into this place, as we traveled along the wide and well defined trail we began to find things along the trail that made it very clear, this was no forest trail regardless of whether they claimed it or not. 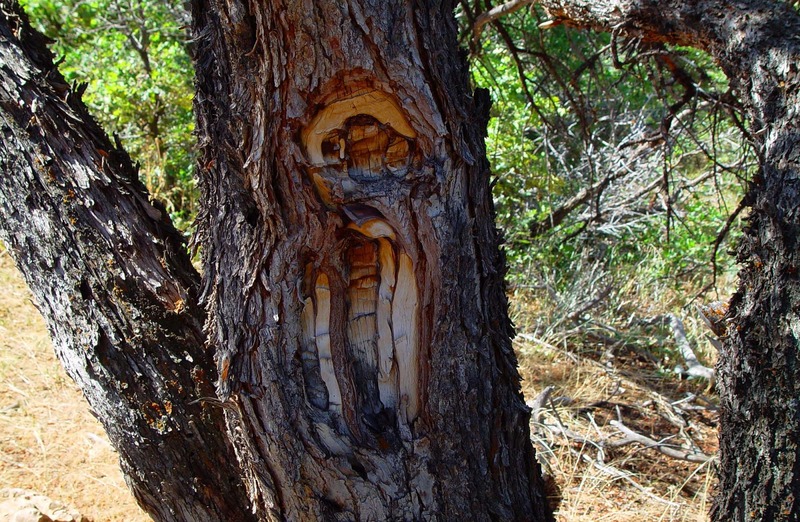 The first thing we found was a tree carving we never expected but well known from many years of being in the Uinta Mountains and actually dating the trees and the carvings where possible. 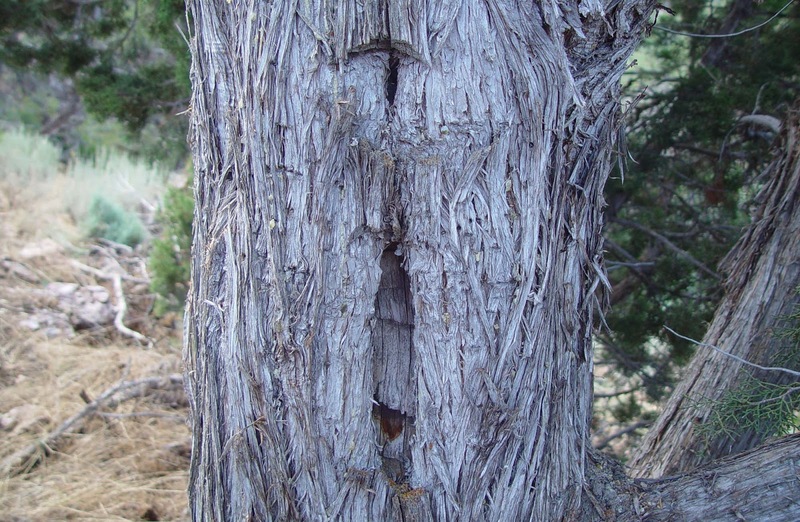 This one was found carved on Mountain Mahogany. When we found this right next to the trail it was clear that a likely employee of the Forest Service had attempted to carve over the trail marker in an effort to mask it from what it actually is or just better define what he thought was an old Forest Service trail marker. The glyph used to mark a forest service trail is the same as the glyph used by the Spaniard to lead to their mines and such. Many do not realize that the Forest service long ago adopted this glyph to hide the fact that someone such as Spaniards were coming here long ago. It is said by some that the way the glyph works is, that the dot above the line means the trail going in and the dot below the line means the trail going out, and that may be according to the Forest Service. But if the glyph proves to have been carved hundreds of years prior, who from the Forest Service was here to carve it? The true meaning of an authentic Spanish Trail Marker is, the dot being above the line means the intended mine it is leading to is ahead or up. If the dot is below the line as you face the tree, the mine is behind you and if you are traveling in the direction facing the tree, you are traveling away from the mine. This Glyph is identical in base meaning as the Native American Glyph. Although we have never core sampled this tree nor the carving itself, knowing the Mountain Mahogany is a very slow grower, I called my Biologist friend and sent him photos for verification of the variety of the tree. He told me that it was more of a bush like a Juniper but that it was a slow grower like scrub oak and asked the depth of the over growth since it was marked of which is about 3 inches, astonished he asked what the diameter of the tree was and I told him 18 inches, again surprised he said you have a very old tree and a very old carving. 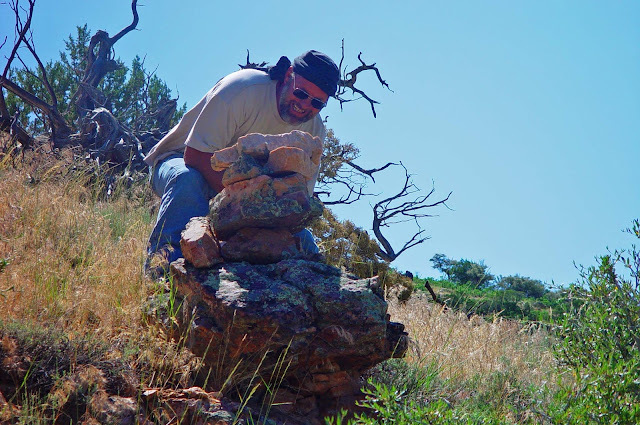 Continuing along the now very apparent old trail we found a fallen monument and not to much further up the trail we found another still standing but somewhat hidden in some Junipers. Further up the trail are even more trees with the appropriate mark showing the mine is still ahead. 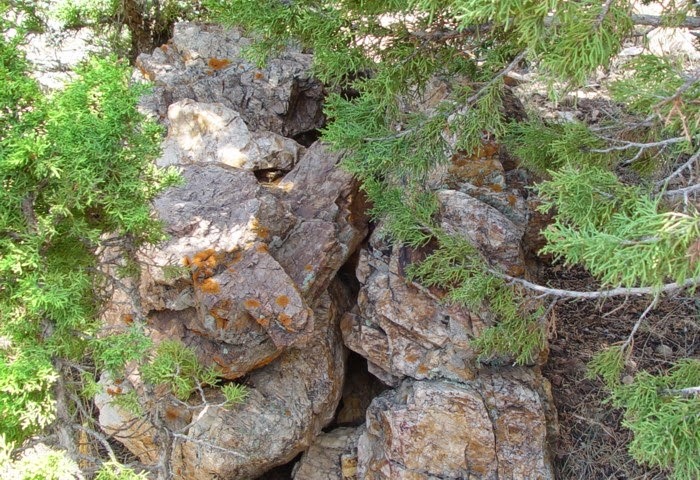 This one is a Juniper. An old Juniper with about 4 inches of overgrowth since it was cut. In the same general area but further up the trail we found evidence of a silver vein crossing the trail, near anyone could see silver is present by the samples of stained rock crossing the old trail, If the image does not show it very well, there is a heavy blue-ish silver stained layer of rock crossing the old trail, a clear indication of silver. By this time we knew we were in the right area and we were certainly near to an old Spanish Mine and likely near the cache site. 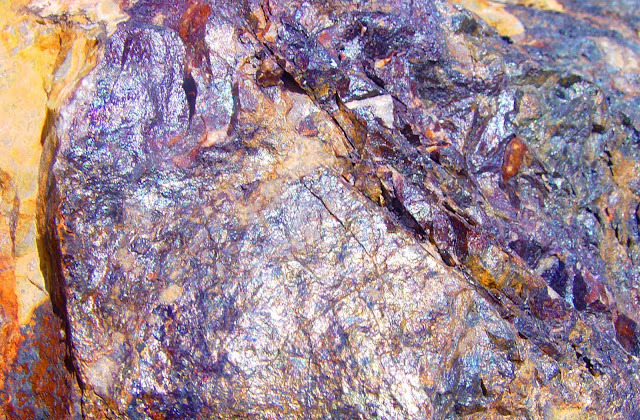 Silver dark blue stained rock found crossing the old trail, shining due to sunlight. As the excitement built up due to the things we were finding, we just couldn't wait to continue. Rounding a corner further up the trail we find an unusual monument and past this point about 1/3 of a mile, we find no more trees with marks. The monument is built in an unusual fashion with an overhang built into it as if to say this is what you are looking for and from here you can see it. At the point of the monument however we could not see any conglomerate as was indicated in the story or so we thought. However a closer look and we found the conglomerate. This monument has since been destroyed and I have a theory on who it may have been and why, and this is one of the many reason why documentation is very important. To this day I can show you exactly where it sat, and this is important. Not far from this monument is the conglomerate we had hoped to find, whether we have the right deposit of conglomerate or not is not known. In sight from this monument is conglomerate ledges of which still to this day needs to be searched, but I suspect a lower location in order to fit the story. We have returned a few times since, but nothing has been done to locate the overhanging ledge. The forest service has added a sign early in the trail which says no motorized vehicles past this point, at a point we use to be able to access long past this on four wheelers. It is a good thing our 4 wheelers don't have motors and instead have engines. ;-) It is now a much longer walk but not to much more difficulty. I’m not a miner, but I sure would like to get a geologist in there to find this silver vein.